Abraham Lincoln did not live to see the final surrender of the armies of the Confederacy. A Confederate sympathizer shot the president at Ford's Theatre in Washington on April fourteenth, eighteen sixty-five. By that time, however, the American Civil War really was over. General Robert E. Lee surrendered in early April, bringing an end to four years of fighting. Several other Confederate armies were still in the field. But they were too small and too weak to continue the fight. This week in our series, Maurice Joyce and Leo Scully tell the story of the final surrender of the Confederate armies. 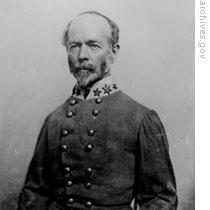 One army was in North Carolina, commanded by General Joe Johnston. 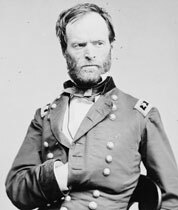 Five days after Lee's surrender, Johnston asked for a meeting with General William Sherman, the commander of Union forces in North Carolina. Sherman met with Johnston a few days later. He offered him the same surrender terms that General Lee had accepted. He said the Confederates must give up their weapons and promise to fight no more. Then they would be free to return to their homes. Johnston said he could not accept these terms. Johnston said he had the power to surrender all the Confederate armies everywhere in the South he said he would do so if Sherman agreed on a political settlement. The two generals met again the next day. Sherman listened as Johnston explained his demands. Most of them, Sherman accepted. He believed that President Lincoln wanted to help the South as much as possible. 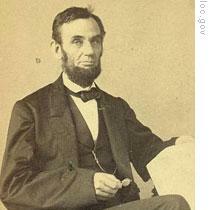 He had heard Lincoln say that he wanted to make it easy for the southern states to return to the Union. When the agreement was completed, Sherman sent it immediately to Washington for approval by the new president, Andrew Johnson. The agreement seemed to give the South everything it wanted. Instead of surrendering to Sherman, the Confederate Armies would break up. The soldiers would return to their homes, taking their weapons with them. They would sign a promise not to fight again and to obey state and federal laws. In exchange for this, Sherman said the president would recognize state governments in the south which promised to support the Constitution. He said federal courts would be established in the south again. And he said the president -- as well as he could -- would protect the political rights promised to all people by the Constitution of the United States and the state constitutions. And Sherman said the United States government would not interfere with any of the southern people, if they remained peaceful and obeyed the laws. President Johnson held a cabinet meeting to discuss the agreement Sherman had signed. War Secretary Stanton and the other members of the cabinet were violently opposed to it. They said Sherman had no power to make any kind of political settlement. President Johnson rejected the agreement. He said Johnston's army must surrender within forty-eight hours or be destroyed. He said the surrender terms could be no better than those given General Lee. Johnston decided to surrender. On April twenty-sixth, his army laid down its weapons. One by one, the remaining armies surrendered. The soldiers began returning home. Many of them were bitter. They wanted to continue to fight. They spoke of guerrilla war against the Yankees. But most of the Confederate commanders opposed this. 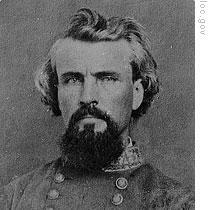 Many, like cavalry General Nathan Bedford Forrest, urged their men to accept defeat. "It is a clear fact that we are beaten. We would be foolish to try to fight further. The government which we tried to establish is at an end. Civil War -- such as you have just passed through -- naturally causes feelings of bitterness and hatred. We must put these feelings aside. Whatever your responsibilities may be, meet them like men. You have been good soldiers. You can be good citizens." Confederate President Jefferson Davis fled south after the fall of his government. He hoped to get across the Mississippi River. He believed that he could form a new Confederate army. If this failed, he planned to escape to Mexico. President Lincoln had hoped that Davis would escape. He felt that punishing Davis would only create more bitterness and make reconstruction -- the rebuilding of the South -- more difficult. But President Johnson did not share Lincoln's feelings. He believed Davis had a part in the plot to kill Lincoln. He said Davis must be captured. On May tenth, Union forces found the Confederate president's camp in southern Georgia. They seized him and took him to Fort Monroe, Virginia. He remained there for many months under close guard. His trial was never held. And finally, in eighteen sixty-seven, he was freed. 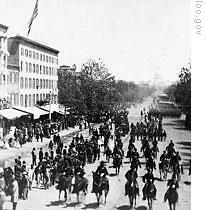 Late in May, one hundred fifty thousand Union soldiers, representing every one of the Union armies, came to Washington. They came to take part in a big parade -- a victory march through the city. For two days, the soldiers marched past the White House. Many of the marching men had fought at Bull Run, at Fredericksburg, Antietam, Gettysburg, Petersburg, and Appomattox. Sherman's western army was there from battles at Shiloh, Vicksburg, Murfreesboro, Chickamauga and Atlanta. The soldiers marched proudly past the president and other government leaders. All along the way, from the Capitol building to the White House, were huge crowds of cheering people. Hour after hour, the soldiers passed. Never had the city seen such a celebration. Each group of soldiers had its band and carried its own battle flags. Some proudly carried flags that had been torn in fierce fighting. Finally, late on the second day, the final group of soldiers passed the White House. The grand parade was over. The battle flags were put away, and the marching bands fell silent. The war was ended. Now, men could look about them and count the cost of the war. Four years of bloody fighting had saved the Union of states. The northern victory had settled for all time the question of whether states could leave the Union. And it had put to rest the great problem of slavery, which had troubled the nation for so many years. But the costs were great. More than six hundred thousand men of the North and South lost their lives. Hundreds of thousands more were wounded. Many had lost their arms or legs. The war cost the North almost three-and-one-half thousand million dollars. It was almost as costly to the Confederates. Most of the war was fought in the southern states. And most of the war damage was there. Hundreds of cities and towns suffered damage. Some -- like Atlanta -- were completely destroyed by Union forces. The damage outside the populated areas was almost as great. Union armies had marched across the South leaving behind them widespread destruction. Farm houses and buildings had been burned; animals and crops seized or destroyed. Transport in the South was especially hard hit. Union soldiers had destroyed most of the railroads. The few Confederate trains that escaped capture were worn out from heavy use. River boats had been destroyed. And roads and bridges were in terrible condition. The South had no money to rebuild. Businessmen and rich landowners had put their money in Confederate bonds, now completely worthless. Confederate war debts would never be paid. There was also the question of the four million former slaves. They were free now. But few could take care of themselves. They needed jobs and training. The people of the South faced a difficult future. They had been defeated in battle. Their economy was destroyed. In many areas, there was little food and the people were hungry. Farmers could not plant crops, because they had no seed and no animals to break the ground. There was no money for rebuilding. To add to all these problems, radical Republicans in Washington were demanding severe punishment for the South. Instead of offering aid, they demanded that the government sell the property of southerners to pay Union war debts. 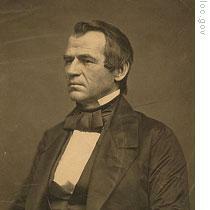 President Andrew Johnson, himself a southerner from Tennessee, opposed the radical plans. He had his own program of reconstruction for the South. Our program was written by Frank Beardsley. The narrators were Maurice Joyce and Leo Scully. Transcripts, podcasts and historical images from our series are at www.unsv.com. 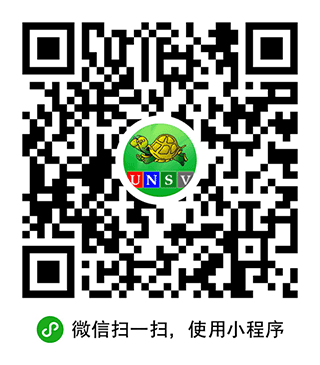 You can also comment on our programs. And we invite you to follow us on Twitter at VOA Learning English. Join us again next week for THE MAKING OF A NATION -- an American history series in VOA Special English.